All too often, wounded or disabled veterans return home from war only to ask, “What do I do now?” Many feel that the loss of limb or motor function equates to a loss of purpose or a loss of identity. But the Department of Veterans Affairs and the United States Olympic Committee have joined forces to give these heroes hope. The Military Paralympics and other disabled veteran sports clubs are ready and waiting to rehabilitate veterans physical and mentally, to uncover hidden skills and talents, and make sure nothing, not even physical disability, holds our veterans back. Team USA’s Paralympic Military Program was established by the United States Olympic Committee in 2004. Congress asked the USOC to come up with a sports program fit for wounded, ill, and injured veterans and military service members. The USOC partnered with the DOD and the VA to create a special military Paralympics funded by partners of the USOC and by the VA. According to Team USA’s website, more than 2,000 veterans participate in the Paralympic Military Program each year. Thousands of others are able to find alternative disabled sports groups with the program’s help. The USOC and the VA continuously work together to make veterans aware of these programs and help them take advantage of the opportunities for growth and healing. At the 2014 Military Paralympic Games, two hundred disabled service members and veterans competed in seven events, representing all military branches and even special operations. A plethora of games are available to veterans who wish to participate in the Paralympics. These include: wheelchair rugby, wheelchair tennis, archery, track and field, rowing, sitting volleyball, cycling, swimming, wheelchair curling, alpine skiing, Nordic skiing, shooting, soccer, wheelchair fencing, snowboarding, and sled hockey. The Paralympic team with the best performances overall is awarded the Chairman’s Cup. We would like to congratulate the following military athletes for representing the United States in the 2016 para Olympic games. Thank you for your courage’s military service you are an inspiration to so many, Thanks again! The Military Paralympics are not just about sports and getting used to new prosthetic limbs. It’s about healing mentally as well, about rediscovering one’s purpose and drive. Disabled veterans are able to maintain an active lifestyle and inspire others at the same time. Teamwork and camaraderie follow them from the military to the Paralympic Games, where empathetic peers can provide continual motivation and encouragement. Once a group of athletes have reached their highest goals, they turn around and use their experience to mentor the next group. Occupational therapists agree that newly disabled veterans need to see other disabled athletes who have worked and healed and achieved so much. It lets them know that recovery and normality is possible and that their injury has only opened doors to new opportunities. Many disabled veterans can qualify for a $500 to $1,070 monthly assistance allowance provided by the VA Paralympic Program Office. Qualifying factors for receiving this allowance vary by sport. They usually have to do with military standards, tryout performances, and rankings. After qualifying, athletes stay eligible for the allowance by keeping quarterly and monthly reports detailing their training and plans for competing. Disabled veterans and their families can check out lots of disabled sports clubs online, tailored to their circumstances. They can see which events are available and which games are the best fit for them and their disabilities. Information can be found on the U.S. Paralympics webpage, Wounded Warriors website, and the VA’s club search page. 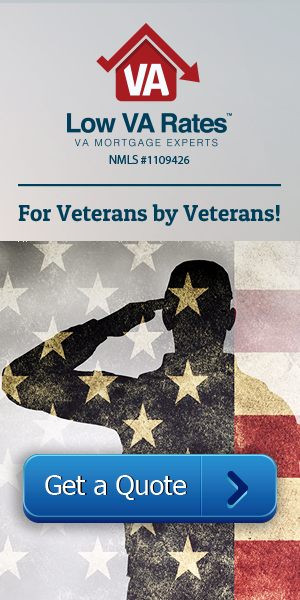 Veterans can also consult their VA clinical team. Other athletic programs for veterans include the National Veterans Summer Sports Clinic, which offers athletic training to veterans with amputations, visual impairments, spinal cord injuries, traumatic brain injuries, and PTSD. Events include kayaking, track and field, cycling, surfing, and sailing. Similarly, the National Disabled Veterans Winter Sports Clinic offers training in Alpine and Nordic skiing, among other winter activities. 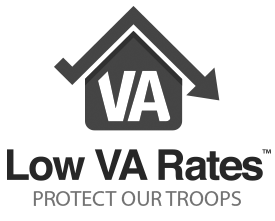 The newly national Veterans TEE Tournament (TEE stands for Training, Exposure, and Experience) is another organization sponsored by the VA that focuses on rehabilitation for disabled veterans through golf and bowling. The National Veterans Wheelchair Games presented by the VA and the Paralyzed Veterans of America hosts eighteen different wheelchair sporting events for veterans with spinal cord injuries, multiple sclerosis, and other neurological injuries, as well as amputations. Our mission here at Low VA Rates is similar to those of the Military Paralympics Program or the National Veterans Wheelchair Games: above all, we want to ensure veterans aren’t held back by difficulties but are instead happy, healthy, and active. That’s why we have some of the lowest rates in the mortgage industry.